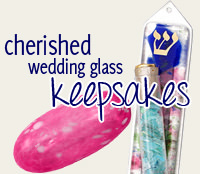 Traditions Jewish Gifts' customer service is available Monday through Friday 9AM EST to 5PMEST. Our retail store is located in the Festival Flea Market Mall in Pompano Beach Florida, and their store hours are 9:30AM EST - 5PM EST Monday through Friday, and 9:30AM - 6PM EST Saturday & Sunday. Of course! Please give us a call at 1 (800) 493 - 0520 Monday through Friday 9AM to 5PM EST, and we would be more than happy to assist you. 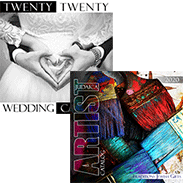 Traditions Jewish Gifts' coupon codes are typically printed in a bold font in capital letters, and are prefaced by either coupon code or code. Most of our coupons are distributed via our mailing list which you can sign up for here. Once you've located the coupon you'd like to use, click on View Cart at the upper right of the web page to make it to your cart. Scroll down and fill out the relevant information until you encounter step 4 It will read Enter Coupon Or Fundraising Code. Fill in the empty box with the code, and the hit the blue button that reads Apply Coupon. You may only use one coupon code per order. What is a Kosher Scroll? A kosher scroll is a scroll that has been hand-written on parchment paper by a scribe in Israel. We offer three kosher scrolls, but our two most popular scrolls are the Standard Kosher Scroll and the Certified Kosher Scroll. Both scrolls fit in all of our Mezuzah. The difference between the two scrolls is that the Standard Kosher Scroll is read over by eye and proofed for error, and the Certified Kosher Scroll is proofed by a computer, ensuring accuracy. Unfortunately, our website isn't designed to show item availability. Often if an item isn't in stock it will take 2-4 weeks to obtain. Some items, especially those we import from Israel will take much longer. If you need an item by a certain date, please give us a call at 1 (800) 493 - 0520 Monday through Friday 9AM to 5PM EST and we will check our stock. Yes, but only if the order is shipping inside the State of Florida, or being picked up at our retail store. Unfortunately we do not, however we do send out e-mails every so often with featured items and promotions. If this is something that interests you, you may sign up for our mailing list here. Though it depends on the product, our items will be labeled if they're produced in Israel or the USA. If the item is an artist piece, you may click on their main page to see where they're based out of. Yes we do. It's an additional $4.95 per order. Some artists, such as Gary Rosenthal, do not gift wrap. However if we're shipping their piece from our warehouse, it can be wrapped. Unfortunately, personalized Gary Rosenthal pieces will not be gift wrapped. If we are unable to wrap your gifts, we will refund your gift wrap charge. Can I Order With A Check or Money Order? You may if it's a certified check or money order. Print out your shopping cart for us, and send it in the mail along with your certified check or money order. All checks and money orders are held 7-10 days for payment to clear. Yes we do. Please review our International Shipping Policy here. What Do I Do If I Made A Mistake With My Address On My Order? Immediately give us a call at 1 (800) 493 - 0520 Monday through Friday 9AM to 5PM EST so that we may assist you, or send us an e-mail: sales@traditionsjewishgifts.com. Please include your Order# in your e-mail so that we may better assist you. When provided with an accurate e-mail address, we will send a tracking number to you. Depending on your spam filter settings, it's possible that you did not have the number sent to your inbox. If you're able locate the tracking number, you can use it to track where you package is. If the item was a gift, it's possible that you may have not received a thank you. Contact your gift recipient and speak with them to confirm the status of your order. If you're unable to locate your order after these steps, please call us at 1 (800) 493 - 0520 Monday through Friday 9AM to 5PM EST so that we may be able to further assist you. Please retain all original packing materials. This includes items such as packing peanuts, bubble wrap and of course the box. Give us a call at 1 (800) 493 - 0520 Monday through Friday 9AM to 5PM EST, or send us an e-mail: sales@traditionsjewishgifts.com so that we may be able to further assist you with your damaged order. Any missing or damaged items must be reported to us within 24 hours of receipt. Please note if the above instructions are not followed, your claim will not be covered under the shipping company's insurance policy. To make sure that your credit card is legitimate, we run a pre-authorization to make sure that we'll be able to charge your card without any hangups. Often with debit cards, it will show as a charge, but be assured that it is not a charge. We will not charge your card until we've sent out your order (this includes sending the instructions to an artist who's custom making a piece). You may view our entire return policy here. Please be patient and do not dispute the charge with your credit card company. It is a very time consuming and costly procedure, resulting in a long wait period to receive your potential credit, and it incurs unnecessary charges. If a chargeback is initiated without prior consent or valid reason, there will be a $25 re-charge fee that is levied by the credit card processing company. This applies to all forms of payment.